At Just Breathe Urban Skin Bar we are continuously looking for advances in products and technology so our clients can be assured they are receiving maximum results with the highest quality skin care. What you put onto your body is just as important as what you put into it. Not only do we look for high quality but also products that are safe to use on the skin. All of the products we use at Just Breathe Urban Skin Bar are free of harsh chemicals and parabens. 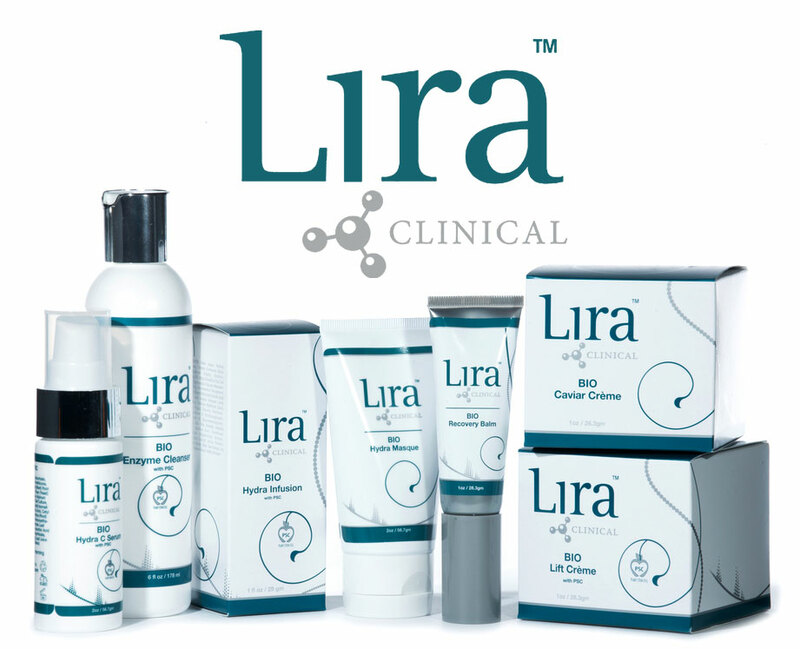 Lira clinical products are uniquely designed with advanced ingredient technology to brighten and tighten all skin types. Liars mission is to create highly effective skin care products that restore skin beauty, health and harmony. All lira products contain brightening agents to help even skin tone and set the base for beautiful skin. All products are paraben free and crafted with the best natural ingredients in the world. They use a sophisticated smart skincare system that allows you to immediately see long lasting corrective results. With innovative home care products, unrivaled quality and results driven professional treatments, Lira clinical is your skin care solution.